Home » Download » Ano Hi Mita Hana no Namae Wo Bokutachi wa Mada Shiranai. 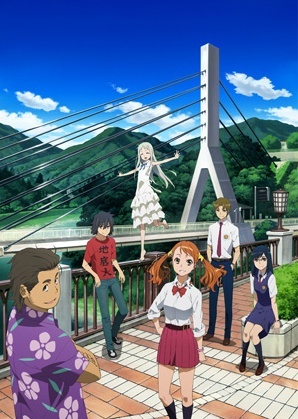 A group of childhood friends drifts apart after one of them, Meiko "Menma" Honma, dies in an accident. Years later, the leader of the group, Jinta Yadomi, has become withdrawn and lives as a recluse. An older Meiko appears to him, and says that she must have a wish granted, though she does not know what it is.